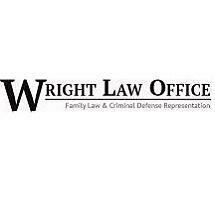 Wright Law Office offers legal counsel in the areas of family law and criminal defense. We are committed to providing excellent service and aggressive representation for clients in Bloomington, Illinois, and surrounding communities. Our law practice offers individualized attention, knowledgeable service and experienced representation. We provide reasonable legal fees, flexible appointment scheduling, and Spanish language interpretive services. At Wright Law Office we understand the complex nature of family law, whether it's a divorce and the related issues of child custody and support, enforcement and modification, property division, or adoption. We listen to your concerns, explain the legal process and keep you informed every step of the way. Wright Law Office is known for aggressive criminal defense representation. We can help you understand your legal options and make an informed decision. We are dedicated to defending your rights and protecting your future. We will work closely with you to build a strong defense, communicate with you throughout every stage of the legal process and fight for the best possible resolution for your case. Whether you need to resolve a family law matter or are in need of a strong criminal defense, we work hard for what is in your best interest. At Wright Law Office, we are committed to helping clients throughout Central Illinois achieve fair outcomes for their legal issues.